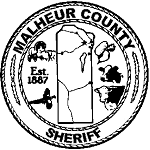 If your vehicle has been impounded by the Malheur County Sheriff’s Office, you will need to go the Sheriff’s Office with the follow documents and also pay a fee. You will need to have proof of ownership (registration or title), or a notarized note from the owner giving permission to the person authorized to pick up the vehicle. Proof of insurance, on the vehicle that is impounded. A driver with a valid drivers license (does not need to be from Oregon). You will be given a form stating that you have paid the Sheriff’s Office fees and your vehicle may be released to you upon paying the tow bill. If the vehicle was towed / impounded for safekeeping, you will be able to pick up the vehicle without having to provide the above information to the Sheriff’s Office. You will have a towing fee to pay at the wreckers office.